I took the kids to Mount Pleasant to enjoy the "Snow Community Day". When making our way back to the car there was a dock by the harbor and the kids wanted to look at the water. 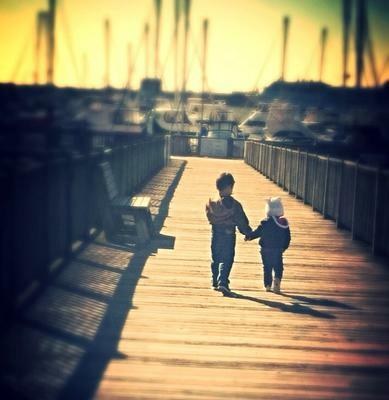 I happened to capture this photo of the two of them walking down the dock together as her older brother leads her by the hand... So sweet!